Travelling by ferry to Sydney Rowing Club is one of Sydney’s most popular destination experiences. Not only is it an affordable and convenient way to access our venue, you will also witness one of Australia’s most amazing river systems in relative comfort. 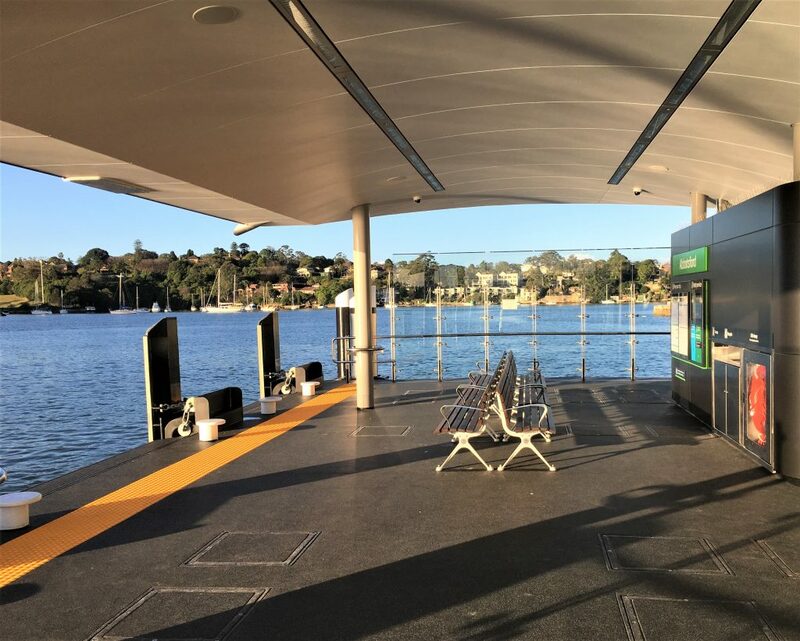 Ferries connect from as far as Parramatta and Manly, operating from early morning to late at night with over 70 stops per day at Abbotsford Wharf – only a 50 metre stroll from Sydney Rowing Club. Please enjoy! As the largest taxi company in Sydney we highly recommend Taxis Combined for taxis to and from Sydney Rowing Club. Why drive when we have a ferry stop located metres from our doors? Whether you are traveling from Parramatta, Circular Quay, Manly or the many stops in between take in the scenic views as you cruise along the Parramatta River with friends and family and then continue to relax at Sydney Rowing Club. Click HERE to hear why SRC is such a popular destination for many visitors to Sydney. How do I gain entry? Sydney Rowing Club attracts over 250,000 local, interstate and international visitors each year. It is safe to say that we welcome visitors with open arms. We are however required to comply with entry regulations which are imposed on every registered club in NSW. Typically any person residing within a five kilometre radius of a registered club must be either a guest of a member, a member of a like club or a member of the club to gain entry. Persons outside of the 5km radius are welcome to sign in if over 18 and present sufficient identification. Fortunately, Sydney Rowing Club was granted partial exemptions to this rule in March 2014 resulting in a number of suburbs located within our 5km radius being excluded from the 5km entry rule. These suburbs are situated on the northern side of the Parramatta River and the western side of Hen and Chicken Bay. The suburbs listed below continue to be subject to the 5km entry rule. Please click on MAP to identify if you are inside the area and subject to these regulations. Abbotsford, Ashfield*, Balmain*, Birchgrove*, Burwood, Canada Bay, Chiswick, Concord, Croydon, Drummoyne, Five Dock, Haberfield, Homebush*, Leichhardt*, Lilyfield*, North Strathfield, Russell Lea, Rodd Point, Rozelle, Strathfield* and Wareemba. All adults entering Sydney Rowing Club must supply identification to sign in so remember to bring your driver’s licence or passport. We are a licenced venue therefore all persons under 18 years of age must be accompanied by a parent or guardian.